In addition to a couple of phones that might as well be official already, a third-gen Chromecast that was prematurely put up for sale at Best Buy, and a thoroughly leaked smart speaker with a display, Google is also reportedly planning to unveil a new tablet next week. Curiously enough, we don’t know a great deal about the device, purportedly codenamed Nocturne, although a number of reliable insiders have recently claimed the final, official branding is Google Pixel Slate. That pretty much rules out the possibility of this being a direct sequel for last year’s versatile but non-detachable Pixelbook laptop. 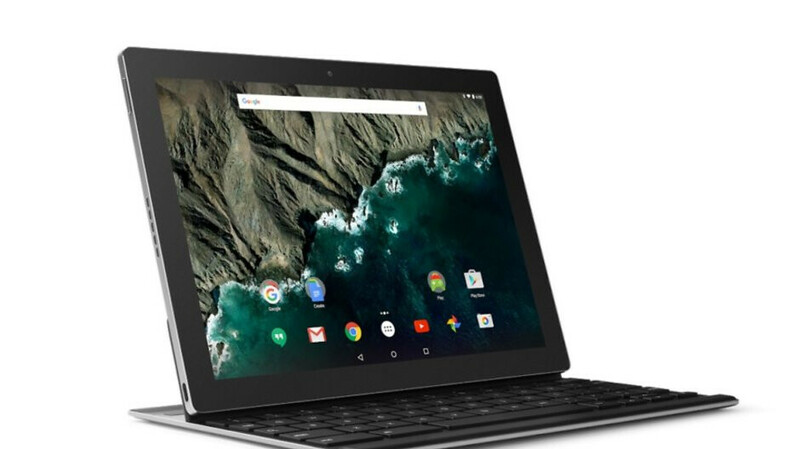 Unlike 2015’s Pixel C, however, the Pixel Slate is expected to follow the Pixelbook’s suit and run Chrome OS instead of Android. Believe it or not, fresh speculation calls for a dual-boot system in place here, and no, we’re not talking about how Chromebooks are capable of installing Android apps nowadays. What newly discovered Chromium source code suggests is Google at the very least considered loading up Windows on the “Nocturne” as a Chrome OS alternative. Granted, the search giant is known for its bold, unconventional, and sometimes outright bizarre internal software experiments, many of which never actually end up seeing the light of day. But a (not so) secret project dubbed “Campfire” has long been rumored as testing the waters for an unlikely Chrome OS/Windows alliance on the Pixelbook and then a number of other high-end Chromebooks. If this particular experiment does pan out, the Pixelbook is still expected to receive Windows 10 support first, perhaps followed by the mysterious Pixel Slate tablet at some point over the next few months. Then again, Microsoft obviously has to give Google the green light... to go after the Surface Pro family. Why would that even be an option? I hope not. Instead of dual booting windows/chromeOS why not dual boot chromeOS/Linux distro like Ubuntu or Linux mint? Isn't that already possible with most chromebooks? That was my first thought too. A stable triple-boot option with Linux would be nice though. Makes sense. Microsoft already makes money from the Android side of things so they're after ubiquity. They've demonstrated by their actions that Microsoft wants their software on every device sold in the world no matter who makes it. They already announced they're focusing Office Mobile for iOS and Android. It's an intriguing idea. I am looking to replace my really old Toshiba Chromebook 2, but regrettably, the price will be the primary consideration here.